Thanks for posting. Those films are great: saw a fascinating one showing the intensive regime required every few weeks on steam locos. Romantic it was not. Yes prior to pallets&fork lift trucks and containers it was very inefficient, but very alive and nostalgic. I remember as a child watching stock being shunted and handled like this albeit on a smaller scale in places like Galway station, Limerick, Newbridge, etc, two axle goods wagons were the backbone of the railways back then but despite the labour intensive element, they had highly efficient systems for arranging formations so wagons could be dropped off and picked up with minimal movements, and systems that ensured a single carton of tomatoes got to a specific destination grocer. This had died off here around 1974 when modern era bogie stock started to dominate along with containers. CIE tried various interim hybrid crossover wagons such as pal vans, etc, but they were short lived. There are some good YouTube of goods merchandise being transferred to trains at Cork docks. Movie seems to have been made the same year as Harold McMillans "our people never had it so good" speech. A prosperous post War Britain with near to full employment with no shortage of reasonably well paid unionised jobs in transport and manufacturing. Interesting movie no hint of the coming changes in transportation and manufacturing that soon changed the face of shipping and the railways and de-industrialisation that contributed to a lot of today's problems with social and political unrest. Within the next 10 years the British Railways sundries business was transferred to National Carriers Limited which eventually evolved into a Lynx logistics business. In a way CIE/IE was more successful in holding on to its sundries business, but totally ill equipped to compete with the private sector once the Irish road transport was de-regulated in the early 1990s. Here's a CIE golden oldie from Cork. 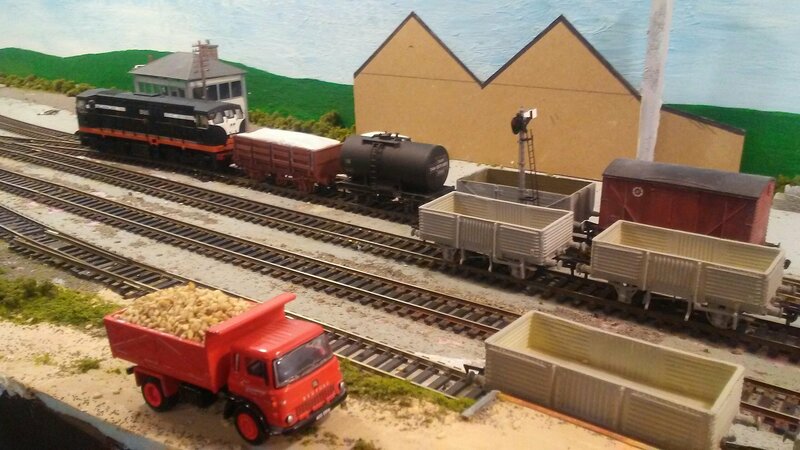 We'll not that old as pallets and fork lifts are in evidence as well as modern bogie fertiliser wagons, but wonderful atmosphere watching the shunters marshall wagons. A train going through the streets of a city with a flag man walking ahead of it to keep traffic on a one way street out of the way is a sight to behold. Pure nostalgia gold. A short clip out west steam era 1950s. On a poignant note few people in the clip are probably still living except the younger children. Most of the Mayo video seems to be earlier than the 1950s possibly late 1930s. Style of clothing, MGWR style station nameboards at Claremorris, Manulla and Westport. Enamel advertisment signage on Claremorris good shed. Cast number plate rather than large numerals on 650 Class arriving at Westport, 1st coach in train possibly in early 1930s livery with cream upper panels, glimpse of an Achill bogie at Manulla Junction most were out of service by late 1940s, GSWR coaches in GSR livery in colour clip. Glory days of Irish CIE Goods traffic, loose coupled stock, loose shunting, H-Vans and Bulleid opens, operationally fascinating times before 1975 when such iconic traffic ceased. 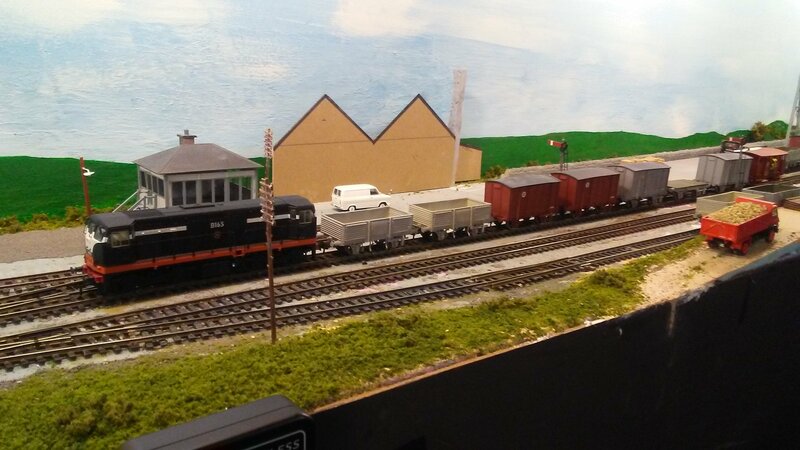 Sadly there are no quality RTR models for these vans and open wagons available that dominated our railways for decades before modernisation heralded rather operationally and visually boring block fitted trains. 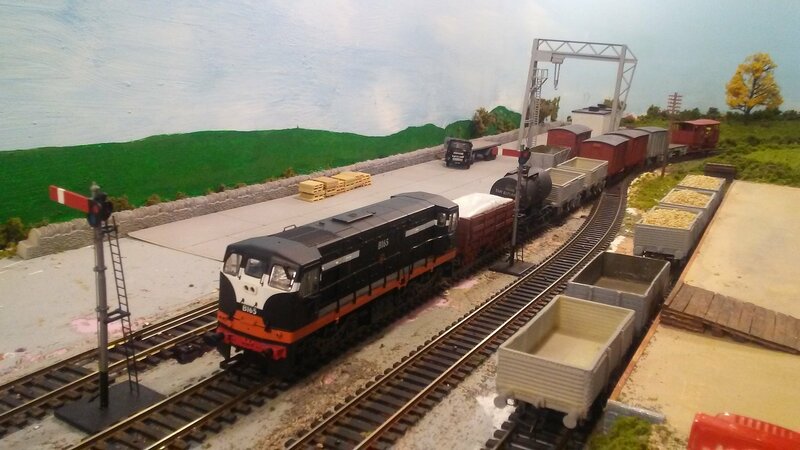 Last night I watched 'irish Rail Archive DVD Vols 1 & 2' and was in awe at watching drivers and shunters skill marshalling, collecting and dropping off two axle goods wagons at intermediate stations on their routes. 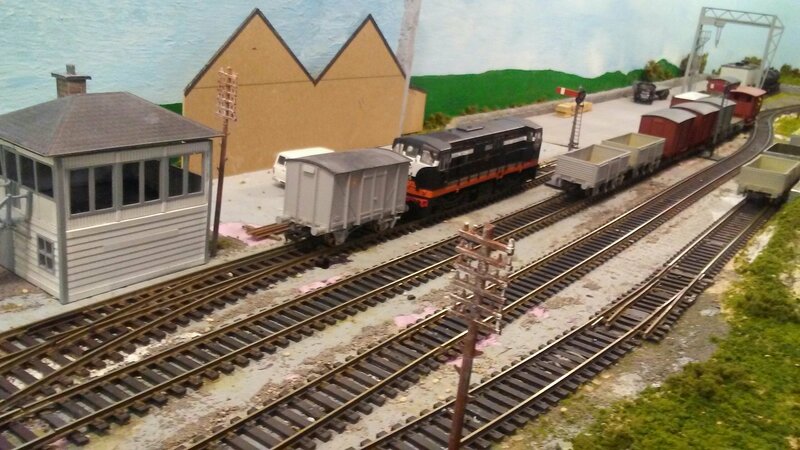 One push of a loco and skilled shunters were able to loose shunt wagons into multiple sidings and sheds with one loco operation, perfect timing allowing for points to be thrown between free rolling wagons. Yummie. Thank you Patrick, that floats my boat. I read some interesting behind the scenes material in a NZ railway magazine article when the local station was often a town or districts link with the outside world. 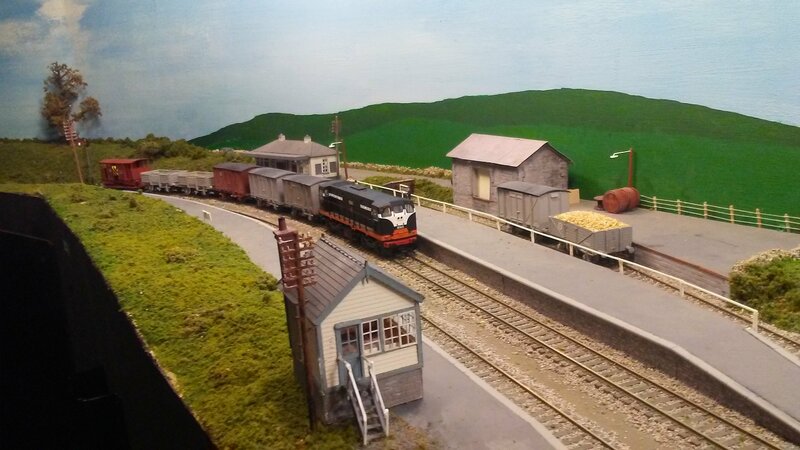 The station's goods clerk would phone local businesses and customers to advise that their wagon had arrived and was ready for unloading or their consignment ready for collection from the good shed or out for delivery with road services. 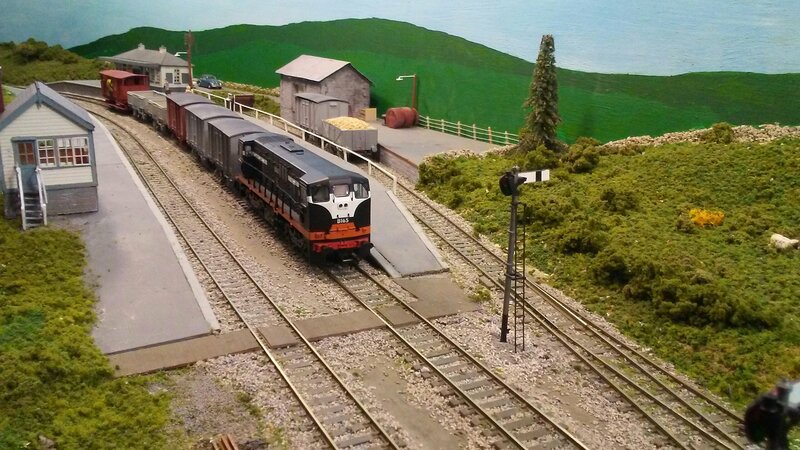 The traditional common-carrier railway provided a much more personalised level of service than today's logistic and railfreight businesses. 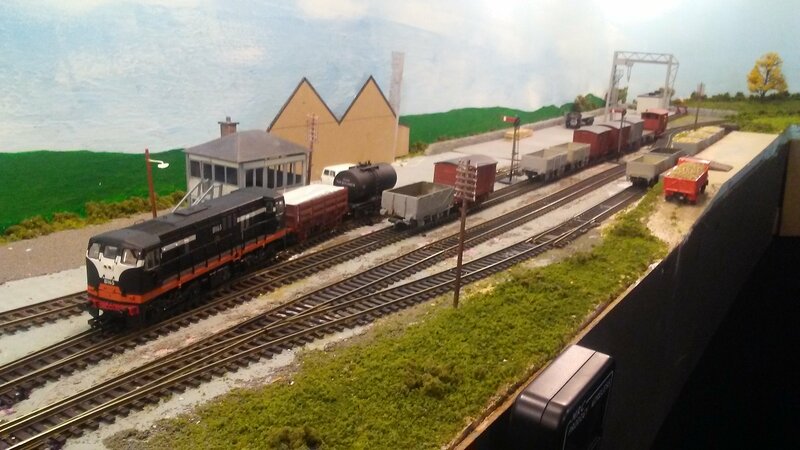 Some American short line and Regional railroads still provide a similar level of services with local sales reps and offices rather than shippers having to go through an anonymous Call Centre 3000 miles from the customers business to order a freight car set out or pick up. The clip in Mayo referred to above was, I think, between 1949 and a few years later.